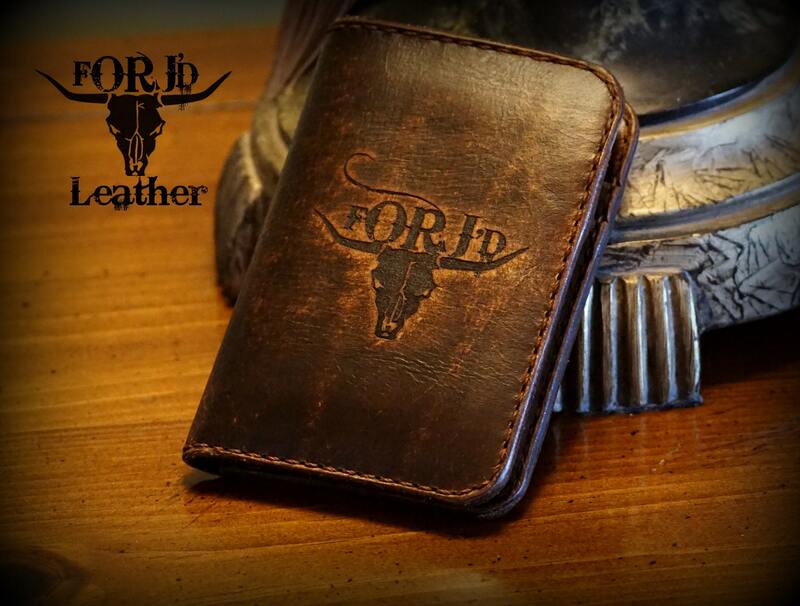 Custom engraved, vintage style leather wallet. 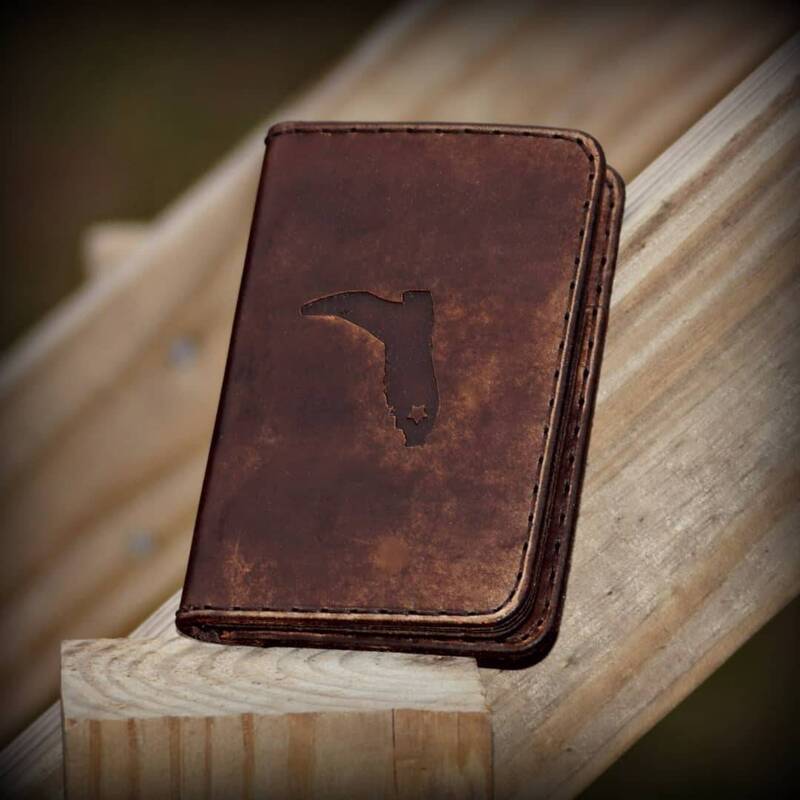 Each wallet is hand dyed, tooled, distressed, oiled, stitched, and finished. 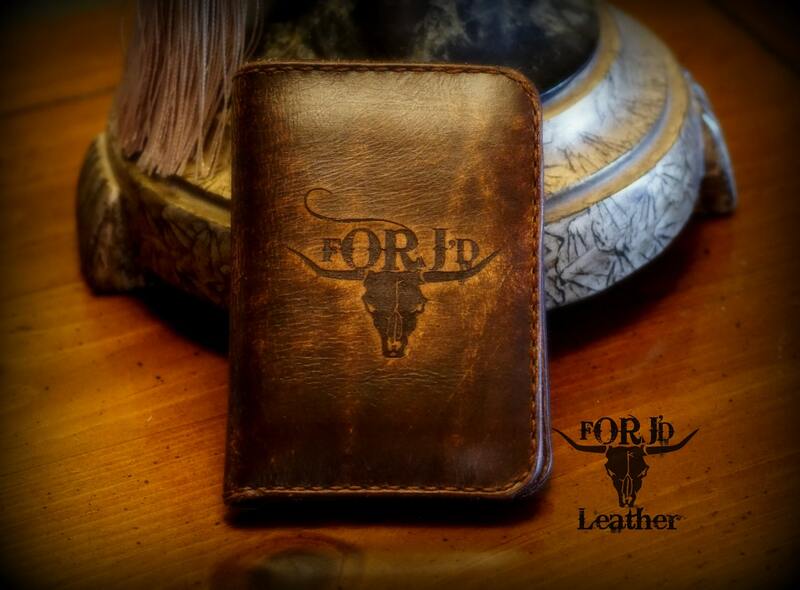 This is a front pocket leather wallet. Made from premium genuine cowhide leather. We will custom engrave the quote, logo, name, etc. at no additional charge. 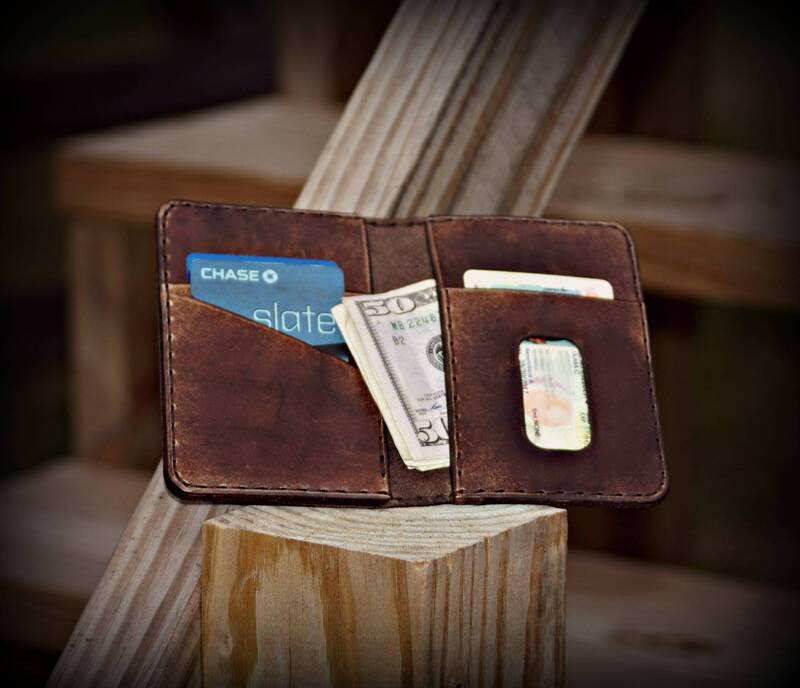 A total of six panel/pockets on the inside which allows for plenty of room for numerous cards and cash.